The most wonderful time of the year is here! This December marks the 4 year anniversary of The Movie Gang! We cannot believe it! We are so grateful to all of you that have loyally attended our events and supported our vision. This wouldn’t be possible without you guys! Our holiday events are always our favorites and this year we are taking you back to the magical land of Narnia! We are proud to announce The Chronicles of Narnia: The Lion, The Witch, and The Wardrobe. Based on the 2nd book of the series by C.S. Lewis, "The Lion, the Witch and the Wardrobe," tells the story of 4 children who go to live with an old professor during the war. One day, while playing hide and seek, Lucy, the youngest child, finds a wardrobe which leads to a magical land called Narnia. But Narnia is being ruled by the evil White Witch who has made it snow for 100 years. According to an old prophecy, Edmund, Lucy, Peter and Susan are the "chosen ones" who will defeat the Witch. They are assisted by the true ruler of Narnia, Aslan the lion. 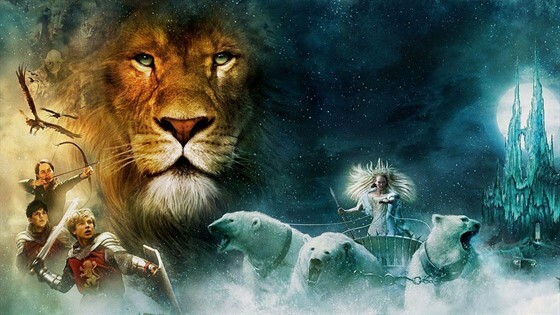 With the good Narnians on their side, all four children must now defeat the White Witch using all their strength and fulfill their destinies to become the new kings and queens of Narnia. In honor of this delightful film, we are giving out Free Turkish delight! Have you read the book? We are giving copies away to the first 50 people through the door because it’s even better than the movie. We hope you give it a read. But we aren’t done giving yet! You’ll also be able to enter a free raffle for prizes. We will truly be bringing the magic of this film alive. Don’t miss out on this event! December 28th at the Franklin theater! First 50 people get a free copy of the book The Lion,The Witch and The Wardrobe.